The diverse live music scene may just be the best thing going for Southampton. As well as an amazing roster of national and international talent descending on the city, some of our local artists are making ripples of their own. Here is The Edge’s list of local live musicians on the rise, gearing up for a mad 2019. Wild Front and The Edge go way back. The quartet had been playing together for years before forming the band in their hometown of Southampton. Last year, they sold out their biggest headline show to date in the expansive chamber of Engine Rooms. Since their EP Physics was released back in 2017, they’ve been busy with a steady smattering of tour dates and new singles, as well as the 2018 festival season, playing the likes of Truck/Y Not and Southampton’s very own Common People. 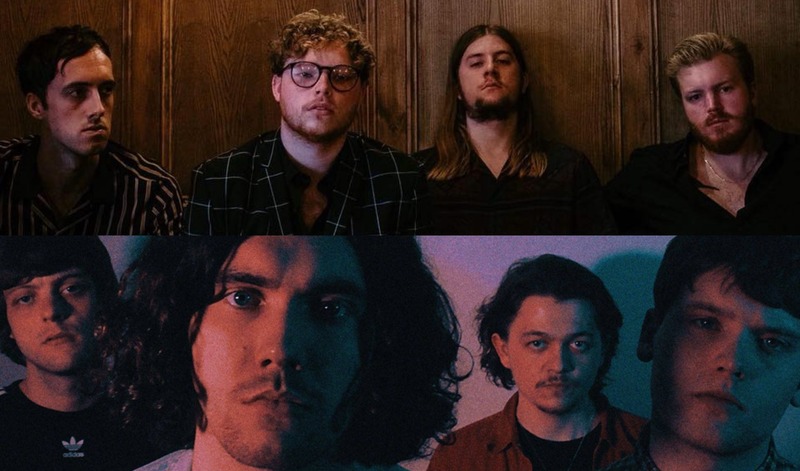 Now they’ve been earmarked by Student Radio Association and DIY as ones to watch in 2019. Their genre melding indie covers the entire spectrum of music. Rock, pop, funk, etc., they’ve got it all covered. This insatiable band are preparing for a year of tour dates and new music. Costellos’ rock ‘n’ roll indie provides the kinds of anthemic songs everyone loves to sing and bop along to at a gig. Labelled as ones to watch by the press, they’ve supported the likes of The Sherlocks and Blossoms on tour. With contagious songs and a relentless work ethos, the end of 2018 sees us on the precipice of Costellos’ biggest year yet. New music and tour dates are both teetering on the horizon. The quartet have spent the last few months working on their debut EP, honing it in full at an acoustic session in their hometown in October of 2018. Since their debut single ‘Keep on Lying’ was released in 2017, they’ve been leaning into their Britpop influences all the more. Ever present is that reminiscence on their latest single ‘Out of the Blue’, which premiered on BBC Introducing Solent. Pairing that with their jangly indie roots, it’s set to be a winning combination. Southampton locals The Manatees and their indie pop have quite a fan base already, with listeners engaging with their youthful songs about young love and adolescence. They released two EPs last year, Avoiding Glances and Young Hearts, and released popular new single ‘Milan’ earlier this year. They’ve gained the attention of BBC Introducing Solent and have already sold out gigs at The Joiners and Heartbreakers here in Southampton. They’ve also been featured on Spotify’s ‘Hot New Bands’ playlist and been played on BBC 6. Singer and guitarist Jay Harris and drummer James Brearly met and played under various pseudonyms at school, and with the addition of Tyler Bloor and James Miller, the 4-piece was complete. Forming back in 2016, Cassava have been the support choice for visiting bands such as DMA’s, The Big Moon and Spring King, as well as selling out gigs of their own. Their relentless indie anthems have received backing from Fred Perry Subculture and BBC Introducing South and they’ve only released four songs. They’ve spent the last few months in the studio with Gavin Monaghan (The Sherlocks, The Editors and The Twang) working on new material and I just can’t stop playing their latest single ‘20’.